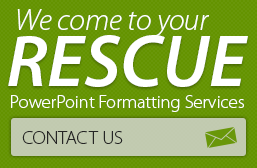 You are here: Home / Best of PPT Tips, Advice and Resources / Why Use Maps in Presentations? 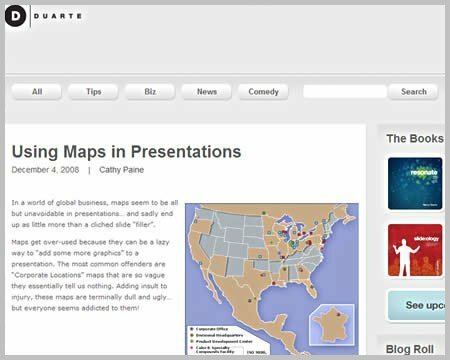 Why Use Maps in Presentations? In many presentations, presenters may need to include a geographical reference in order to explain the concept of their presentation perfectly. In some presentations, they may even be inevitable. Many times, maps are not used correctly. By downloading and using generic maps from the internet, you may not be doing justice to your presentation. A post on the Duarte Blog about the usage of maps in presentations gives an insightful view on why and how presenters should use maps in their presentations. Like the writer, Cathy Paine says in the post: “maps are powerful, indispensable tools for displaying location-specific data in your presentation”. Maps can be used in many different ways in presentations. They can be used to illustrate a company’s presence at different locations, to create an info-graphic about country-wise production of commodities or even display country-specific happenings of a company. Explore some map-related information for 10 countries here. 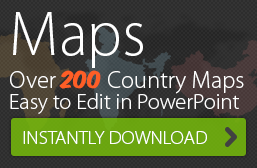 Have you used editable maps before? How have you used them? Tell us in the comments section! I am trying to reach your team but your contact form is down – can someone email me? Hi Steen, very sorry about the trouble as our hosting providers were having an issue. So the form’s all good now and you can even email us at support at 24point0 dot com.